The immense popularity of our International Car Show at Schenley Park has helped elevate our event to new heights, including the number of cars and trailers, causing us to make some adjustments to our parking procedure for trailers that are used to transport show cars. Trailers are not permitted on the golf course. With the heavy traffic congestion and limited turn-around space at the golf course it is recommended that you park your tow vehicle and trailer off-site, unload your car and then drive it up Forbes Avenue to Schenley Drive where you will enter the car show. 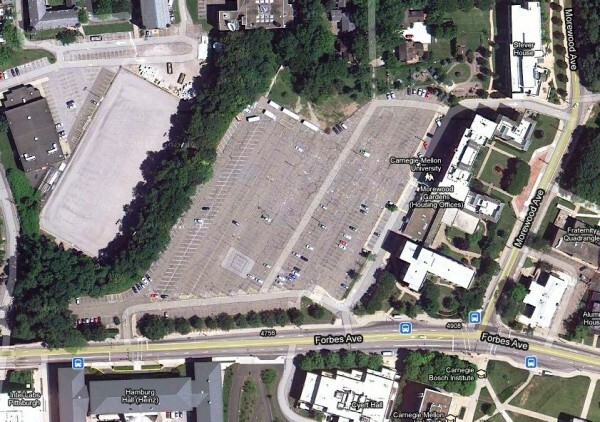 Option 1: Doherty Parking Lot: Trailer Parking has changed from the last few years due to construction at CMU. We have two options. The first is a different Carnegie Mellon Lot. The Doherty Parking Lot lot is accessible from Forbes Avenue across the street from the CMU East Campus Parking Garage next to the football field. This is not a large lot and will accommodate 10-12 trailers. Option 2: Frew Street: You will enter from Schenley drive after crossing the bridge from the Schenley Plaza. We suggest using Phipps Conservatory as the GPS location. Frew Street runs from Schenley Drive near the Phipps Conservatory to Tech Street which is just below the car show entrances. Our suggestion here is to park in such an angle to leave the rear of your trailer accessible for unloading/loading. We can park 25 trailers along the length of this street. We need to keep the lane open for busses but we can use the length of the street. Usage at Owners Risk: Parking in all three lots is free and usage is at the owners own risk. Carnegie Mellon University provides security patrols on campus but is not responsible for any damage. Tow vehicles may be left in the lot overnight Saturday only at the owners risk and all trailers must be renoved by 6:00 PM Sunday. There is not shuttle bus transportation provided up to the golf course.